From now until Sunday, get unlimited access to all of our online streaming videos for the introductory price of just $1599 for the first year. This price includes access to our entire library of routing & switching, voice, security, service provider video products. That’s over $10,000 in training for just $1599. Your new subscription also includes access to all new video training products released during your subscription year. It was announced yesterday that Scott Morris was starting up his own training initiative with NovaDataCom. Which as anyone could expect, created a good amount of buzz. It you want to read the full release it can be found here. A blog post by Jose Leitao over at Initial Draft started a good discussion on the topic itself. It kind of morphed into vendor discussion about material once again from all sides. Which is leading me to my post here. It is excellent to see another vendor popping up because I honestly believe it helps keep everyone honest and competition is always healthy in any marketplace. 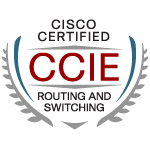 Does it shake up the CCIE training arena? I guess only time will tell. One thing I will say though is everyone’s material out there seems to have their pros and cons, right? I have used almost everyone’s material in my preparation. I have sat INE’s 6 day bootcamp live online, Narbik’s five day bootcamp, and I still have to sit my IPexpert’s five day bootcamp. When I completed Narbik’s bootcamp I walked away thinking he was the best teacher I have ever encountered, not just with Cisco, but with any education I have ever had. His workbooks are great as well. Know what though? I still failed my lab two months later. Not because of Narbik, but because of what my point is going to be next. No matter who’s material you use or are going to use, unless you put in the work yourself, it isn’t going to matter one bit.